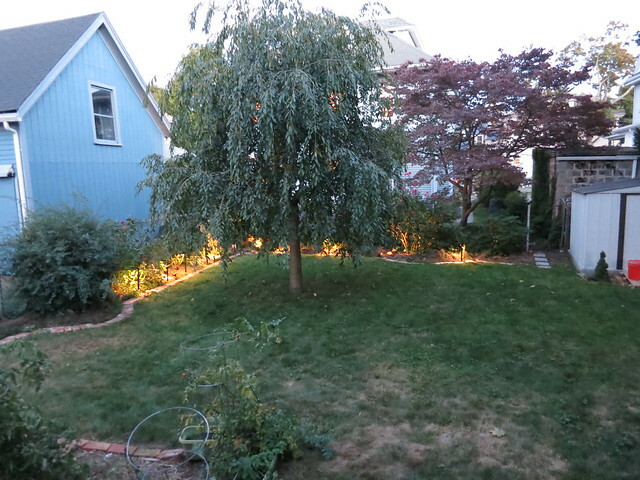 October 21, 2013 at 11:09 am Add a comment! 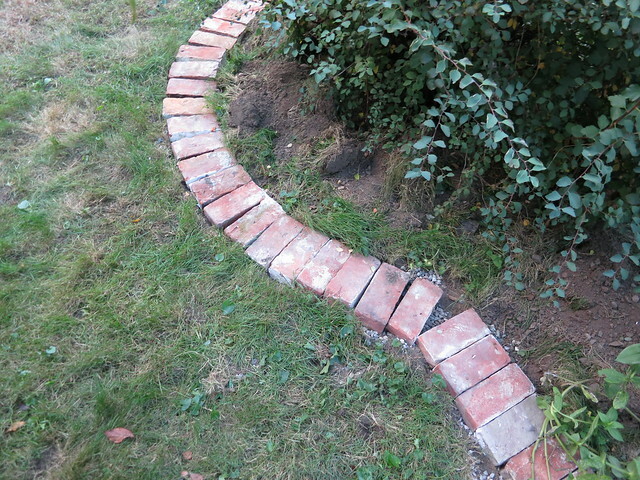 While I’ve had some free time, I’ve undertaken a couple non-essential project. 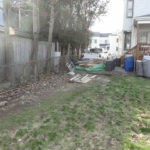 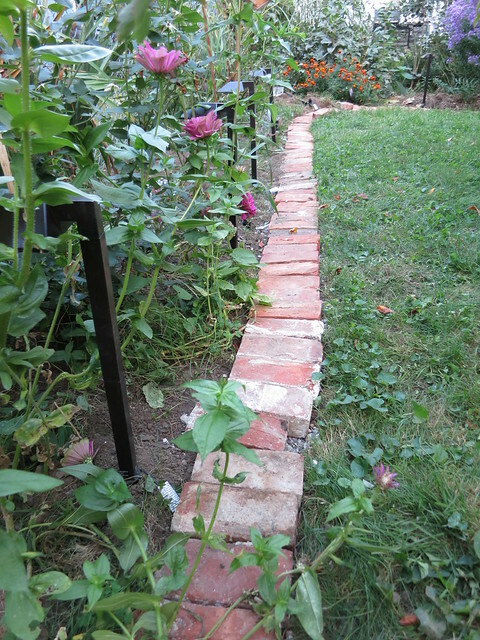 One of which was edging the beds in the backyard, I dug a trench about 6 inches deep and just as wide as a brick is long around the perimiter of the yard. 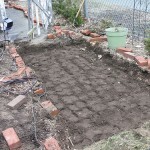 I filled it the trench with gravel (about 300 lbs in all) and layed the bricks to create a nice wide edge to the beds. 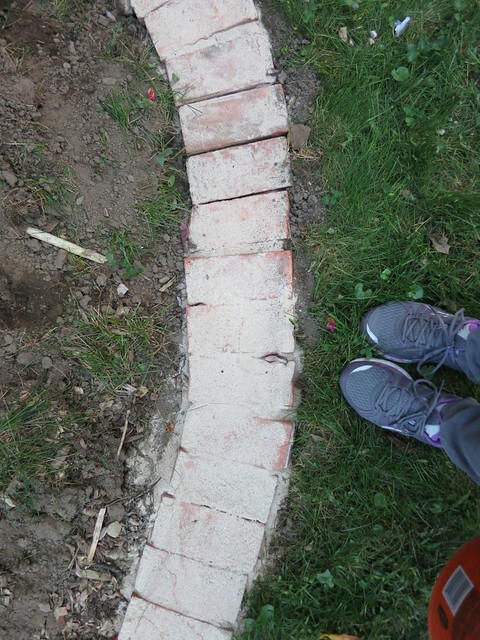 I then worked some sand in between the bricks to really cement them in place. 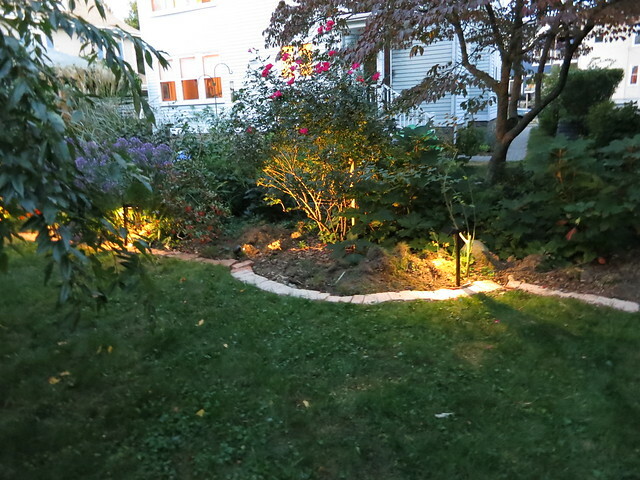 While I had the trench dug, it only made sense to go ahead and install low-voltage lighting. 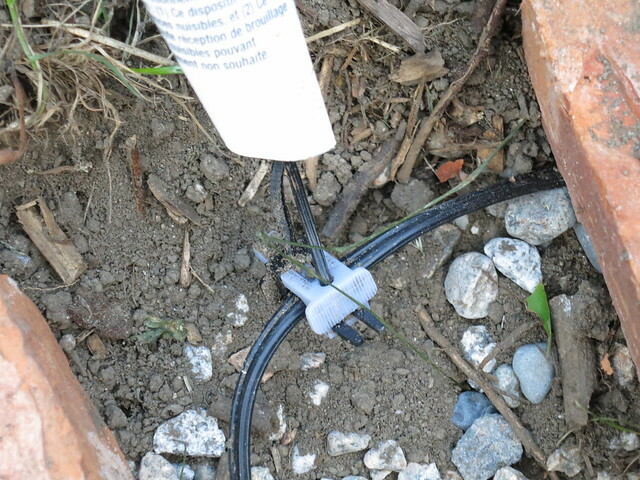 Installing hte lighting just involves burying the cable and clipping in these wire clips to connect the lights with the buried cable. 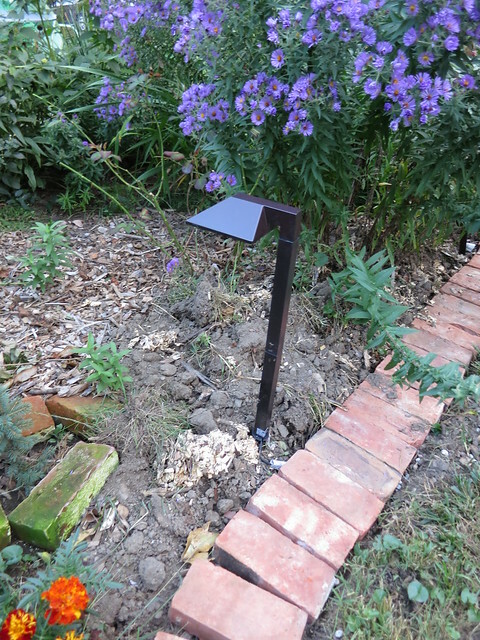 The clips are hard to use and take some force to get the electrical connection working but once they are connected, just bury the connection and move on. 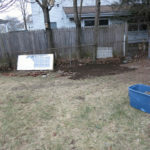 It took about a day to get everything dug and installed. 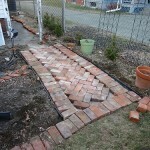 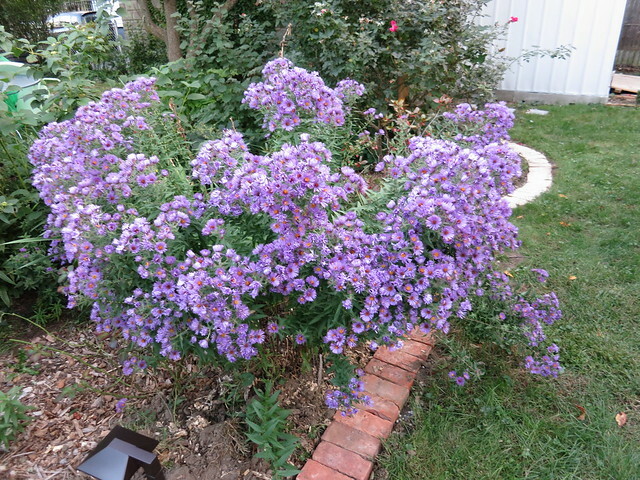 I think it was well worth the effort and I’m planning on doing a bit more of it before the ground freezes this winter.